1. If you are a professional communicator working within the GFAR network, with CGIAR, any of our partners, or a nonprofit organisation within our area of interest, join our core #GCARD3 communications team. You can contribute at will, or just watch and witness a great project coming to fruition, experimenting and learning as we go along. 2. If you are a social media enthusiast, and want to put your own skills and network to a good use, join our YPARD social media team, the habitat where we will coordinate the online support team. Soil is essential to life. One reason is that soil protects plant roots, animals, and microbes from freezing in the winter. As air temperatures drop below 32F (0C), water within the top layers of the soil will eventually freeze. This is commonly known as the frost layer. So, while you think that once the ground is frozen, life stops in the soil, that’s very untrue. What’s going on under your feet is exciting stuff! The soil under your feet is still teeming with life, even in the frozen temperatures of winter. The GFAR Secretariat is pleased to announce that the Global Event for the Third Global Conference on Agricultural Research and Development (GCARD3) will be hosted by the Agricultural Research Council (ARC) of South Africa, in Ekurhuleni near Johannesburg, from 5 to 8 April 2016. The Global Event, organized by GFAR and the CGIAR, will follow directly on a series of national and regional consultations carried out through 2015-2016, and will be the third such global conference bringing together hundreds of representatives from across all agriculture sectors with a stake in the future of agri-food research and innovation. This third GCARD Conference comes at a pivotal time for global agenda-setting on development action, as the Sustainable Development Goals demand a concerted effort to eradicate poverty and hunger by 2030–challenges that can be best met by ensuring sustainable food systems and by increasing investment in agriculture. The Conference will provide a forum for those involved in the GCARD process to further engage and make commitments on working together to make agri-food research and innovation systems stronger, more effective, and more sustainable. 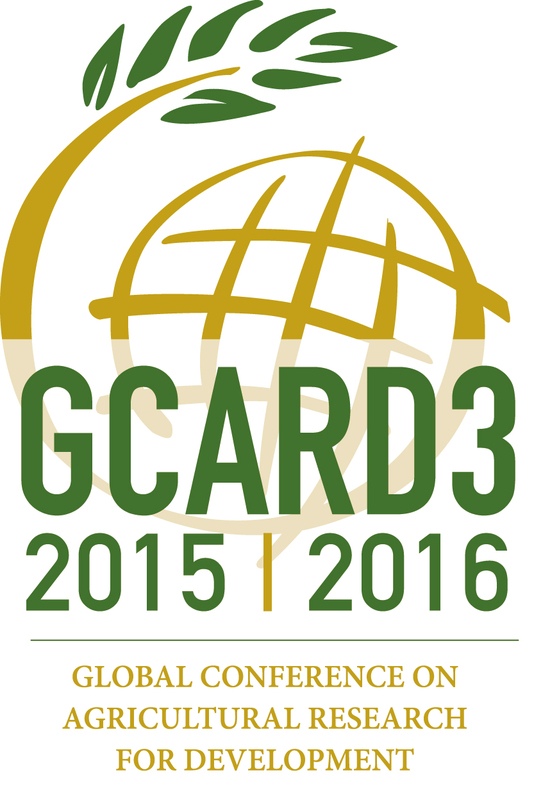 Read the official media release on the GCARD3 Global Event.